FIRST DIRECT ARENA, LEEDS, INGLATERRA. 24 JULIO 2013. Uno de los mejores conciertos de 2013. Grabado por John Cooper﻿. Mezclado por Jon Altschiller. Looking back today, as Springsteen winds down over a year of solo shows in a 975-person theater, the 2012-13 Wrecking Ball tour stands in stark relief. Far from going it alone, Bruce augmented the first E Street Band tour of the post-Clarence Clemons and Danny Federici era with a horn section, back-up singers, and a percussionist for his biggest on-stage line-up since Dr. Zoom and the Sonic Boom. It was a band built for stadiums, and many did it play, including two runs through Europe in consecutive years. Moving his biggest band indoors from stadiums and in doing so becoming the first artist to play the state-of-the-art “super amphitheatre” would prove to be a tasty recipe for a memorable performance. 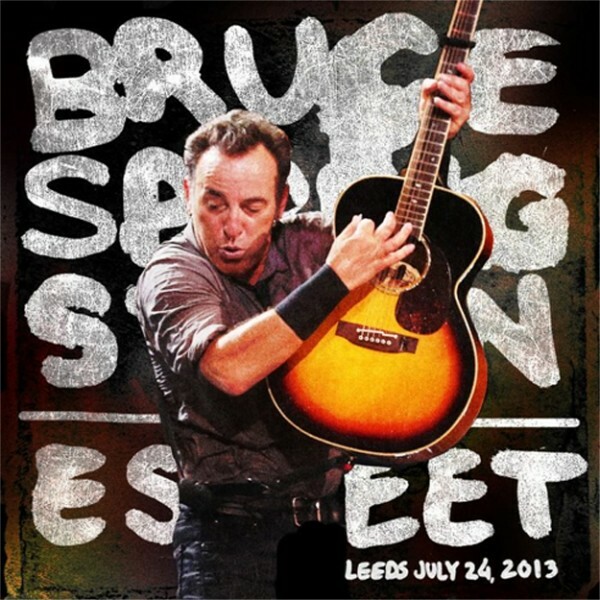 Leeds 2013 is not only chock full of treats, but it captures Bruce and the band at their road-tested yet relaxed best. Bruce fires the special-setlist flare right from the start, opening the show with a rare and potent “Roulette.” It’s the first shot in a staggering top of the show that continues with “My Love Will Not Let You Down” into “No Surrender.” With the final note of “No Surrender” still sustaining, the set slides down gorgeously into “Something in the Night,” a performance that reinforces the song’s beauty and majesty. The same can be said for “American Skin (41 Shots),” a tale as relevant, a crescendo as cathartic today as ever. Perhaps it is going too far to call both songs underappreciated, but the pairing here reinforces their stature in Bruce’s songwriting canon. The mood lightens through “The Promised Land” and “Hungry Heart,” leading to a trio of tour premieres, the kind of sequence many fans dream of, where it feels like anything can (and will) happen. It commences with the delightful “Local Hero” from Lucky Town, a song rarely performed with the E Street Band and arranged here (in its only Wrecking Ball tour appearance) as a best of both worlds, matching E Street muscle with backing vocals a la the 1992-93 tour courtesy of the E Street Choir.